The visit of French President Emmanuel Macron to Lagos, specifically to the New Afrika Shrine dedicated to the ground-breaking music of Afrobeat legend Fela Kuti, has attracted attention to the vibrant megacity's most visited tourist destinations. In a report published in The Nation Newspaper, T.B. Joshua's famed Synagogue Church Of All Nations (SCOAN) unsurprisingly tops the list of the most visited Lagos tourist attractions. 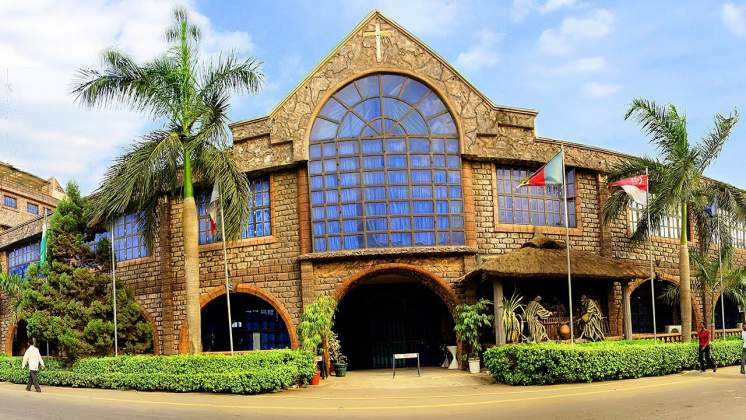 According to the report, The SCOAN "attracts the highest number of tourists not just to Lagos, but to Nigeria as a whole… The steady number of tourists that keeps streaming to the church is a testament to its global popularity." The article additionally cites Joshua's ability to attract religious tourists who come "to find solutions to their physical and spiritual ailments" all year round, as opposed to those attending a seasonal event. "The church does not have a low or high season… It has been visited by many sitting heads of governments, ex-presidents and foreign presidential candidates; many went on to win their elections." After The SCOAN comes The New Afrika Shrine which was the centre of attention during Macron's visit. It serves as the host location of the annual Felabration music festival, as well as showcasing exclusive photo galleries of Fela and music performances by Femi Kuti and Seun Kuti. The Nation further mentions the allure of Nike Arts Gallery, Freedom Park, Terra Kulture, Fela's Museum, Iga Idugaran, Eko Atlantic City, Elegushi Beach and the National Museum to round off Lagos' most popular tourist sites.